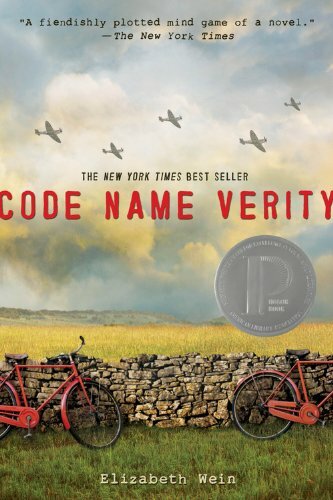 Code Name Verity is one of those books whose titles I’ve heard of but never really looked into. I don’t remember what compelled me to order this book; no one recommended it to me, I just ordered it along with four others one day. I’m not a huge historical fiction fan, but during high school I was always really interested in the World War II era. I started reading this book on a plane which was probably not the best idea I’ve ever had. Let me just say this: this book is not one you can (or should) breeze through. This novel is intricate and has subtle layers that reveal themselves slowly. The beginning can be a bit slow (which is one of the reasons why I gave this book 4 flames instead of 4.5 or 5) but it’s all worth it in the end. This book is filled with twists and turns and laughter and heartbreak. I don’t want to say anything else for fear of even hinting at a spoiler – you deserve to discover this one on your own the way that I did. While reading this book I received another one that I’ve been looking forward to for months and I regret that wanting to get to that book resulted in me getting a little impatient with Verity at times. I wish I had taken more time to savor this book because when it ended I was left feeling a little hollow. When I was finished, I couldn’t pick up that other book for a whole day afterwards because I wanted to pay the characters of Verity the respect they deserve and take the time to truly extricate myself from that world before entering another. I would highly recommend this book with the caution that I can see how it may not appeal to everyone. I think you should give it a try – you might be pleasantly surprised!